3. Rimmel Exaggerate Waterproof Eye Definer - I've talked about the Scandaleyes Waterproof Kohl Kajal in my Top 5 Under 5, but this baby is on another lever. It lasts way longer than the other ones. I love the other guys, especially for the price, but this is my favorite liner for the water line, like of all time. I also love that it comes with the little smudger end to really smoke out the lash lines, depending what look you're going for. And under the smudger end you get a little sharpener! This liner will NOT budge, I swatched it and washed my hands and there's still some pigment there (bottom right picture). Enough said. 4. 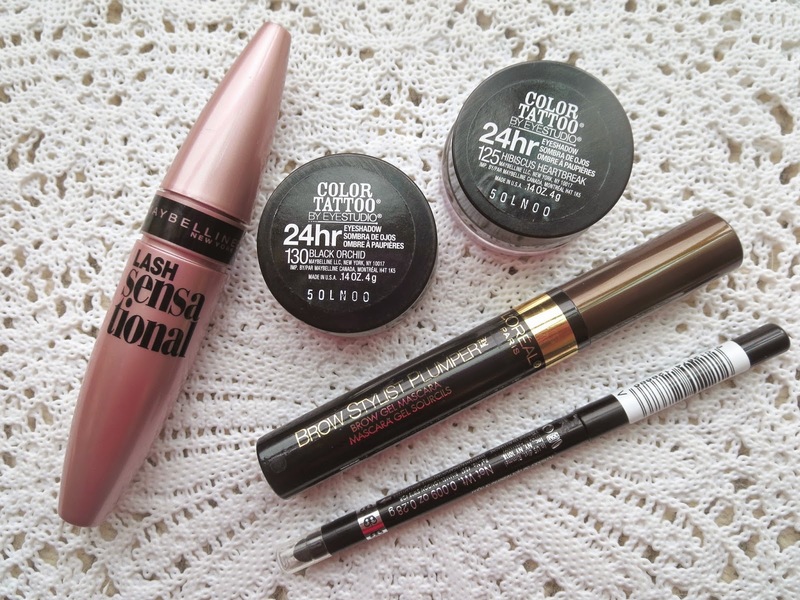 L'Oreal Brow Stylist Plumper - This guy was the winner of my last Battle of The Brands and I haven't looked back. All day every day! I love the tint of it, the fact the the fibers help the brows look a little fuller (nothing crazy), that the gel holds them in place all day and that it has a tiny (precision) brush. 5. Milani Blushes - I've just spoken about the Rose Powder Blushes and had mentioned the Baked Blushes back in my October Favorites. 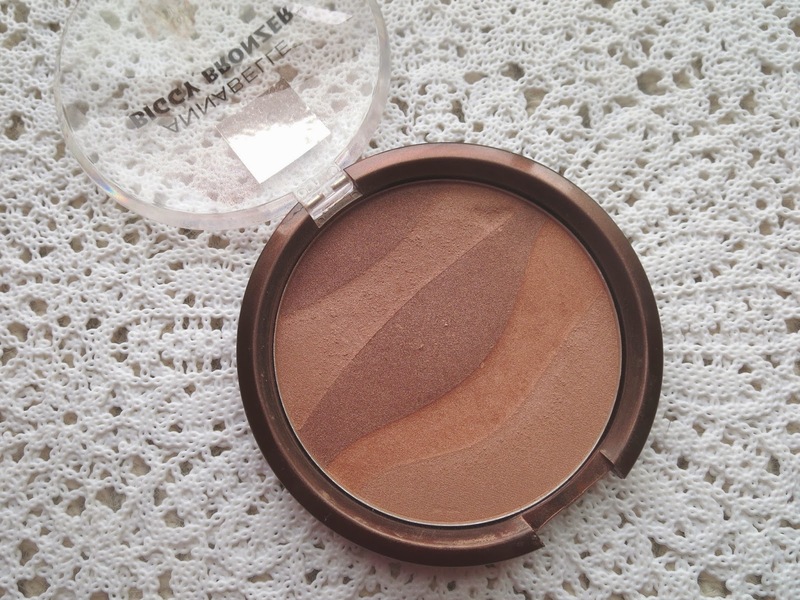 But these are hands down my favorite drugstore powder blushes. I feel like they're the only ones that have really good color pay off and also last a long time. Am I missing anything? Let me know! 6. 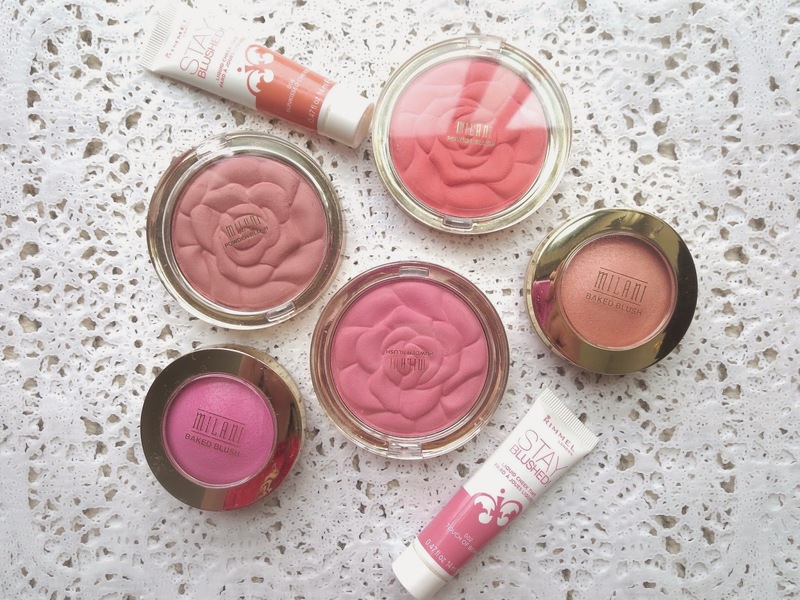 Rimmel Stay Blushed! - These are the blushes that reassured me it was ok to wear a "liquid" cheek color, even on oily skin. I mean these a pretty much a stain. They ain't going nowhere and they look super natural! To be honest I find it easier to work with than the Benefit "tints". I much prefer the texture of these; they're thicker and almost whipped as opposed to a thin liquid...And don't worry, when it dries, there's nothing sticky or shiny about it, give a matte long lasting color. 7. 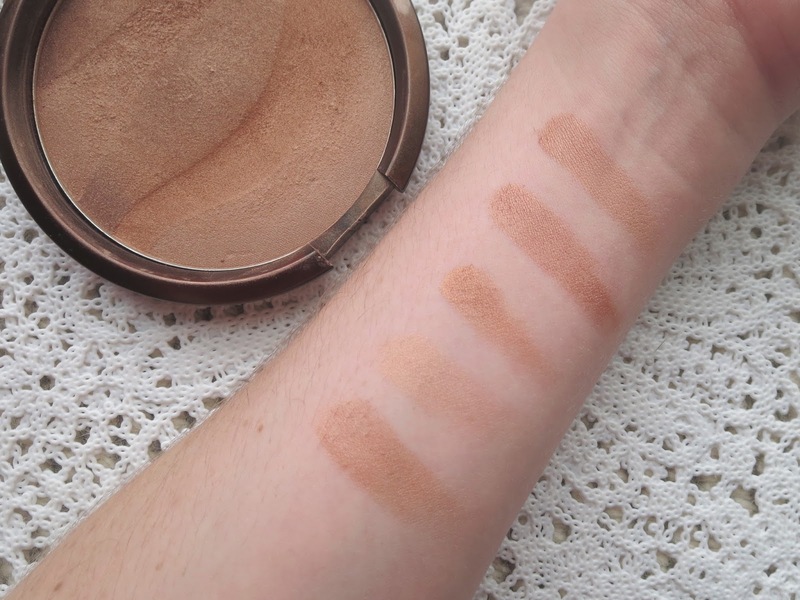 Rimmel Stay Matte BB Cream - You can read my full review HERE (which I should really redo and take better photos...But ah the beginnings though! Good times), but this is still one of my favorite "base" products. I had left it sit on the shelves as I was dealing with quite a bit of dryness in the past months, but I'm becoming oilier with the warmer weather and I'm in love all over again! 8. 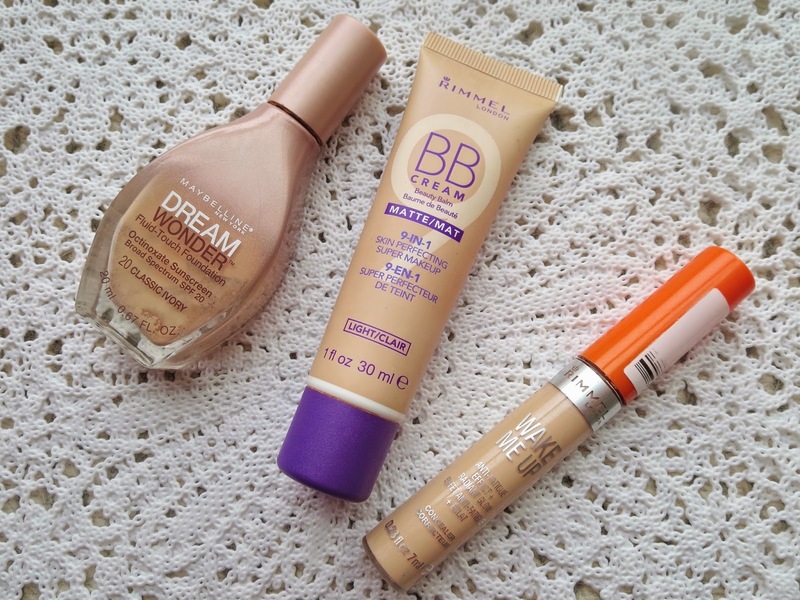 Maybelline Dream Wonder Foundation - I featured this foundation in my All About That Base post (I know, I think I'm sooo witty. And by witty I mean unoriginal), and since then have tested a bunch of drugstore foundations. As far as price and quality is concerned; this has not been beaten. 9. Rimmel Wake Me Up Concealer - I always use a corrector before hand (like the Benefit Erase Paste), but this does a really good job at brightening up the eye area! And because it's so thin it works well with other products as opposed to looking more cakey. Great for "building up". If you don't have very bad dark circles, you could probably use this on it's own. I also love it as a highlighter ; down the bridge of my nose, a touch on the forehead, on the chin and above my cupid's bow. Really a lovely product. 10. 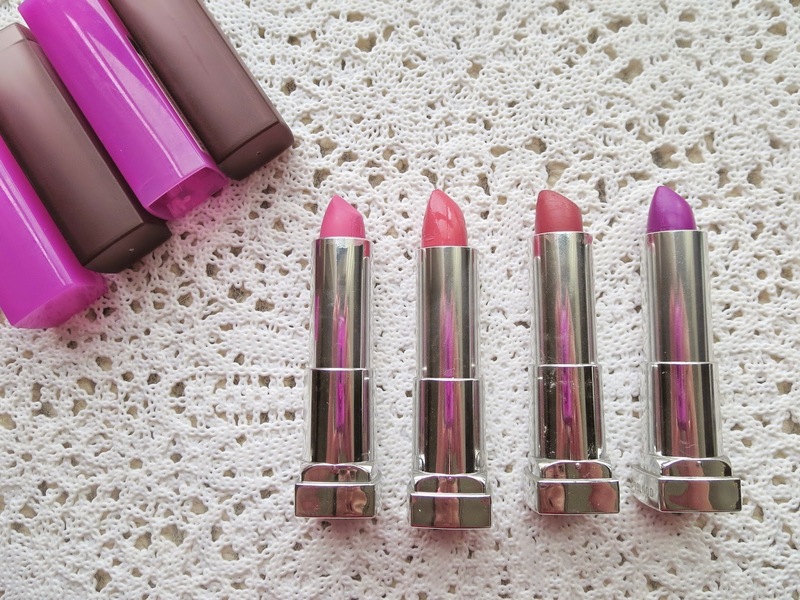 Maybelline Lipsticks - I've raved about the Creamy Mattes (which I'm still disgustingly obsessed with) but I've been trying out some of the Rebel Bloom lipsticks, and I'm just as impressed. Really depends what kind of finish/colors you're looking for. My current picks : Orchid Ecstasy and Blushing Bud. What are some of your favorite affordable products?? Well I do what I can...But the "cheap" stuff adds up... TRUST ME!! haha But this stuff is all sooo good. Can't even.